Living so close to Haytor it is always hard to resist capturing it. The other morning before work we had a lot of haze, from the air mass from Europe, and usually, I find it reduces the light intensity and clarity. It can also, however, cut out the blue wavelengths of light leading to red skies after sunrise. 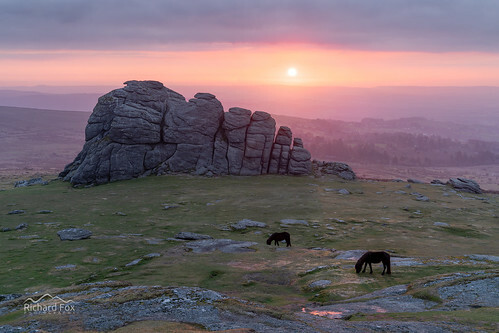 These conditions are very similar to those I captured on my first ever sunrise of Haytor in 2013 shortly after started landscape photography. It seemed only fitting as my wife and I are now (hopefully) very close to moving to Stirlingshire in Scotland. I will certainly miss Haytor and the surrounding tors very much.